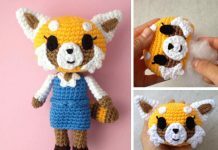 This Crochet Animal Ami-pencil Free Pattern is nice pencil topper for kids! How sweet they are! The rabbit, cat and bear are the most popular animals that every kids love. 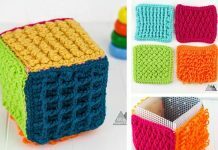 With these crochet protection, it is safe for kids to use the pencils. The kids will definitely love to use the pencils with the Animal Crochet to drawing and writing. They will be best gifts for the kids on Easter, Birthday, Christmas or other celebration. 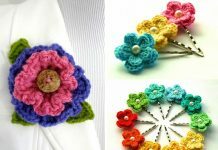 Thanks Ilaira Caliri di Airali for sharing these free crochet patterns. The links for the free patterns are provided below photos. Happy crocheting.